Having a baby is such a miracle. It is so amazing that we can make human beings and the bond that comes from that is one of the strongest I have ever felt. So naturally we want to keep this new life safe from any harm as best as we can and the amount of products out there that are made for baby safety shows that. Summer Infant is company that provides a variety of baby safety products. 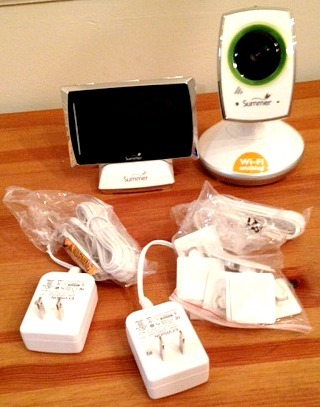 Two of their products that I recently got to try out were their SwaddleMe – Stage 2 and their Baby Touch Wifi video monitor & viewing system. 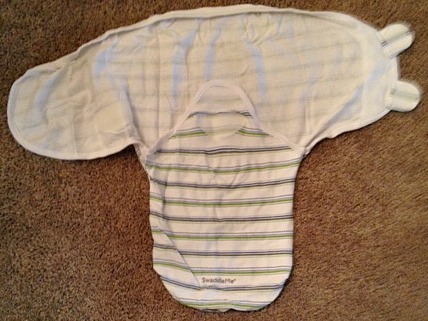 There are 4 stages of the Summer Infant swaddles. Stage 1,SwaddlePod, is for newborns 5-10 lbs, stage 2, SwaddleMe, is for 7-20 lbs or until the baby rolls over, stage 3, SwaddleMe WrapSack, is for 7-20lbs, and stage 4, SwaddleMe Muslin Blankets, is for 12-24 lbs. I got the stage 2 swaddles in the 3 pack, for 14-20 lbs. My baby is still only about 11 lbs so it is not safe based on their sizing recommendations for me to let him sleep in them yet. I have tried wrapping him in them though to see how they work and I really liked them because unlike my husband who does the perfect swaddle every time, I am horrible at swaddling my babies in a blanket so I loved how easy this swaddle was to use. To put the swaddle on is very easy, just slip the baby in and pull the left side over the babies arm, it will Velcro to the middle, and then pull the right side over the top of everything and the tabs will Velcro to the other side. Super simple and my baby seemed to very comfortable in it despite it being too big on him. I love how Summer Infant has the other stages of swaddles as well so that as your baby grows you still have ways of keeping them comfy and warm at night without risking their health by having loose blankets in the crib with them. The second Summer Infant product that I got to try out was one of their baby monitors. I really like it a lot and the reason why is because it works really well and it has a lot of nice features. 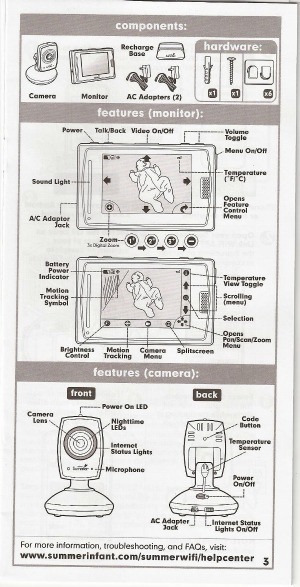 It comes with the camera, the monitor, charger for the monitor and plugs for the camera and the charger. I really like how the monitor is chargeable so I don’t have to worry about buying batteries also it charges fast which is nice for when I accidentally leave it on all night long. I love being able to pick the monitor up and bring it around the house with me as I do chores or as I play in my daughter’s room with her so I can keep an eye on her brother but still keep my attention mostly on her. Another great feature of the monitor is that the sound works really well so even if I am playing on the other side of the room with my daughter I can still hear when my son starts to fuss. There is just so much that the camera and monitor do and all the features together make this a great product. I know I can feel safe about my son sleeping alone because I have this product that I can use to make sure he stays safe. It is easy to use so I don’t have to worry about not knowing how to turn the monitor on so I always know I am one click away from seeing him in the other room without having to worry about waking him up. Another great feature of this video system is that you can access the camera with your smart phone. There is a secure login so you don’t have to worry about others connecting and being able to see your baby. You can even power on the camera from the app on your phone! I highly recommend this product to any new parents or parents too be. 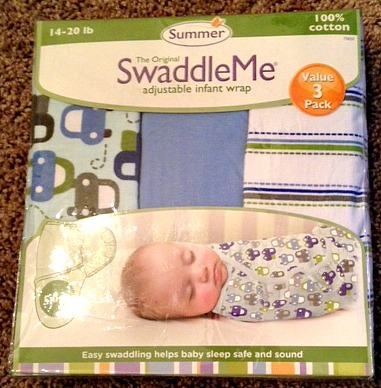 The SwaddleMe – Stage 2, 3 set in large retails for $34.99. 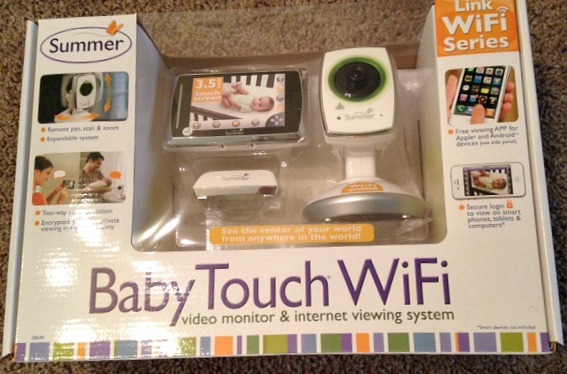 Baby Touch Wifi video & internet system retails for $249.99. « “Wow” your guests with this DIY Valentines Day LOVE sign from cardboard! Specially, Baby Touch Wifi video monitor & viewing system can help me and my babies a lot. i am looking forward to waiting for this type of product. now i got the product that i expected before.